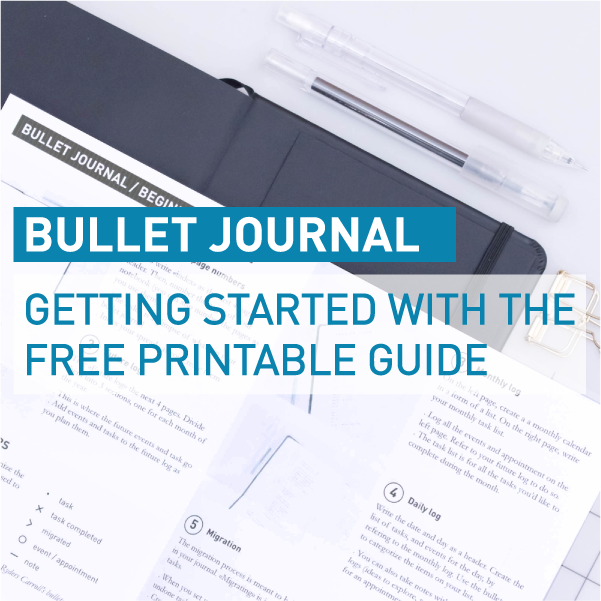 Answers to the questions you sent me about my bullet journal and everything else are here! I’d first like to thank you all for the questions I received on Instagram and in my mailbox! I tried to synthesize them as well as possible to answer most of your lovely messages. Truth is I don’t have tips for everything so I answered the questions from my own experience. The only request I didn’t answer in this post is making a video of me setting up my bullet journal. I don’t feel like I’m equipped and skilled enough to do it for now. I’ll probably work on videos this summer, so you’ll have to show some patience here. That being said, let’s dive into it, starting with Instagram tips! 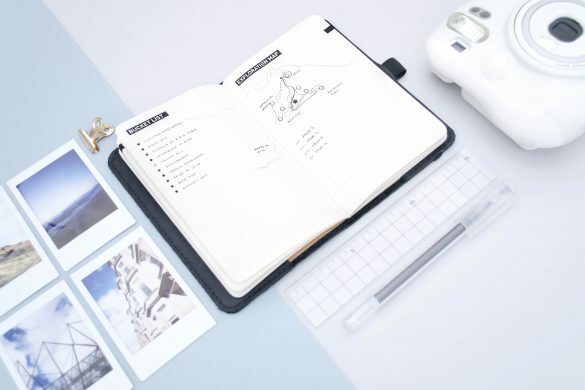 What is key to run a successful bullet journal Instagram account? I regularly get asked about how to run a successful Instagram account. My answer is: I honestly don’t have loads of tips to share. I’m not a social media specialist, so I’ll answer this question regarding my own experience. You may have seen a lot of posts and stories lately about Instagram updates. Instagram algorithm is constantly evolving, and it’s quite hard to keep up with all the updates and the subtleties of them. This new algorithm has completely changed the Instagram game for several months (lower reach, hashtags ban… once again I’m not a specialist, but there is plenty of resources out there if you want to go deeper in the subject). It has become (in my experience) quite hard to reach people on Instagram these days, even though you have great content and already have a large following. This means that in my opinion, it’s hard (but certainly not impossible) to grow an Instagram account organically. In my opinion, consistency and high quality are key to grow and Instagram account. But it’s not a guarantee for success. From the very beginning I don’t have a structured strategy for growing my Instagram account. I started it without any other motive but to share my bullet journal and get some inspiration back. That’s still my first motivation to post. My only advice is to enjoy the journey. Don’t focus on numbers, it doesn’t (or shouldn’t) really matter. Start an Instagram account because you truly like to share your work and thoughts with people out there. In my opinion, enjoying posting is key to keep up with an Instagram account and keep it grow (maybe slowly, but grow anyway). How do you take your pics? How do you manage to have such consistency? An other question I’m very regularly asked ! The two questions are related, as the consistency depends on how you take your pics. So here’s my photo shoot set-up and process. First rule to take pics if you aim for consistency is to have a controlled light. This means that I don’t take my pics relying on sunlight (that changes at every moment). When I take my pics, I close the shutters and use artificial light (for now, it’s just the bulb hanging from the ceiling… so nothing fancy or expensive) to take my pics. An other key to end up with consistency on Instagram is to have the same background for every pic. I use a large grey paper sheet as my background, and several other paper sheets to add some colors from time to time. That’s basically how I get consistency on my Instagram feed. I don’t take my pics with my phone, but with my D5600 Nikon reflex camera. I never (like NEVER) change the settings of my camera (and only use it for Instagram and blog purposes). I also use a tripod to keep the camera still when I take pictures (from the brand Vanguard). , you’ll see that I’ve always had a minimalistic style, but it has definitely evolved as I figured what I liked in other accounts. And it’s still a work in progress. What is your current organization system and what tools do you use? Well I just released a blog post to give you a full tour of my planning system, the tools I use and my planning process. 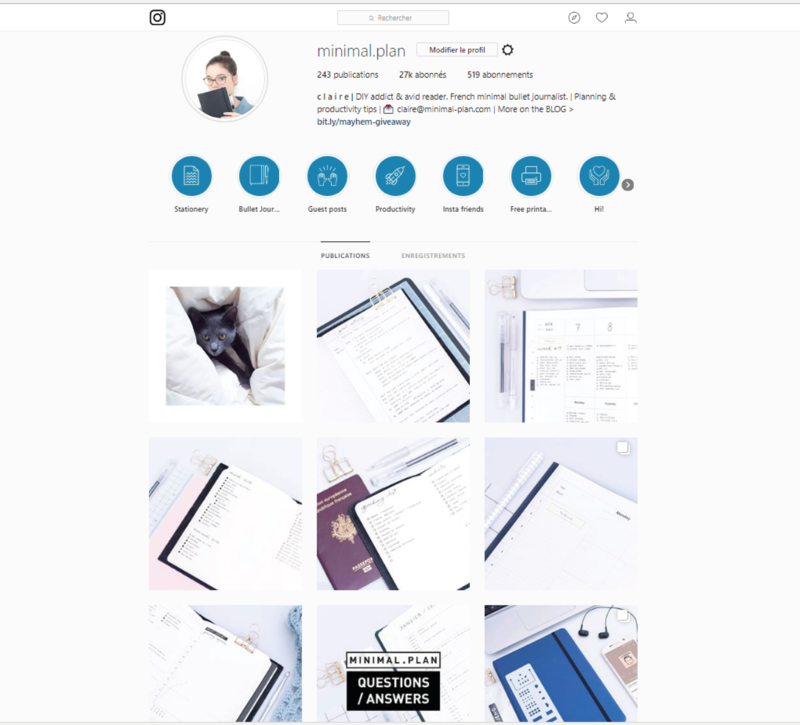 To know everything about my current planning system, check my last post! What happens when things happen (busy weeks at work, holidays, illness) that challenge those systems? It’s one of the biggest fear for bullet journal beginners or people interested in starting a bullet journal. What if I skip a day? Or two, or three? It’s when life happens that the bullet journal system proves its remarquable capacity to adapt to change. You can skip days if you don’t have time or nothing to write in your notebook, you can turn your daily log into something closer than a journal if you’re on vacations for instance, or just write why you didn’t achieve to complete your task list… The bullet journal system offers endless possibilities of layouts to fit what’s happening in your life and you can turn it into a business planner for busy weeks as well as a travel journal while on vacations. 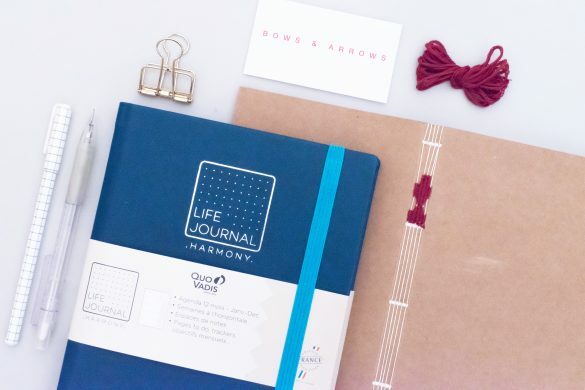 Do you need to inherently be a routine led person to be successful using the bullet journal method? 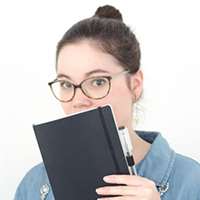 When I started my first bullet journal, I didn’t even knew that routines were a thing. Using the bullet journal system actually helped to build routines to keep me working on reaching my goals. In my opinion, it’s definitely not mandatory to be a routine led person to start a bullet journal. That being said, if routines are not your thing it would probably take some extra effort to keep your bullet journal updated at the beginning. But that would be as difficult with any other planning system. 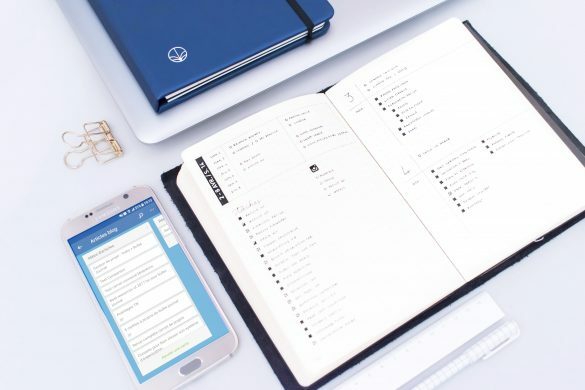 The difference is that with the bullet journal system, you can adapt your planner to your own needs which is not the case with prebuilt planners. How do you achieve quick & simple neatness? Ruler: I always carry a ruler along with my bullet journal. It’s usually in the back pocket of my notebook so that I have it on hand as needed. For me, keeping my bullet journal neat starts with straight lines. 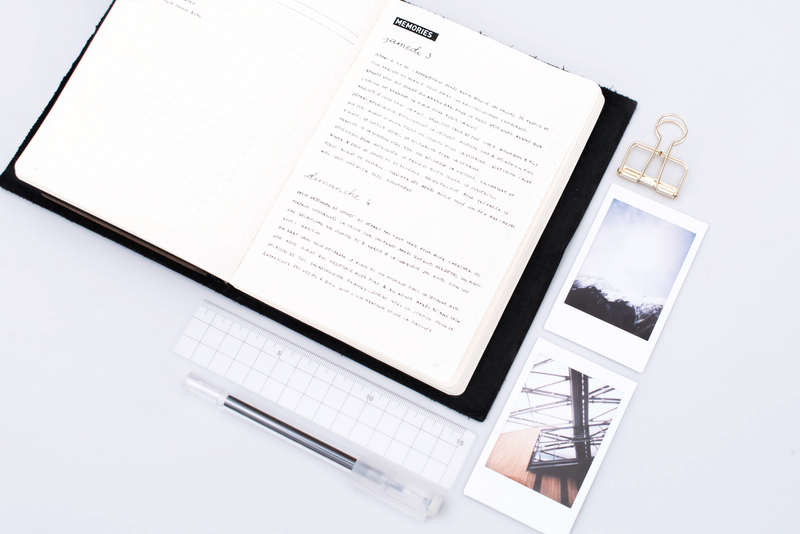 Stencil: using a stencil is quite new for me, but it has definitely taken the neatness of my bullet journal to the next level. I only have one stencil that I absolutely love: it’s an Ink by Jeng bookmark stencil. I mostly use it to draw the boxes for my tasks list. Stickers: since I started to bullet journal, I use stickers. At the very beginning, it was sticky calendars for my monthly log, and I then started to also use them for headers. I create the stickers I use and most of them are available in the Freebie Library. The font I use for stickers is called Din Pro. 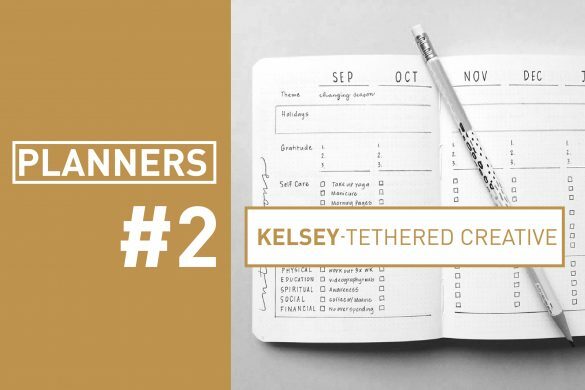 I’ve always been a perfectionist and my bullet journal spreads show this personality trait. I don’t spend hour on my bullet journal spreads. Keeping them super minimalistic make it easier to end up with a clean result. The other secret is that I never scribble or write in my bullet journal on the go. If I need to write something in a rush, I use a mini notepad where I jot down all the things that cross my mind when I don’t have a chair and table to write neatly. I then sort all my scribbles out and migrate informations as needed in my bullet journal. 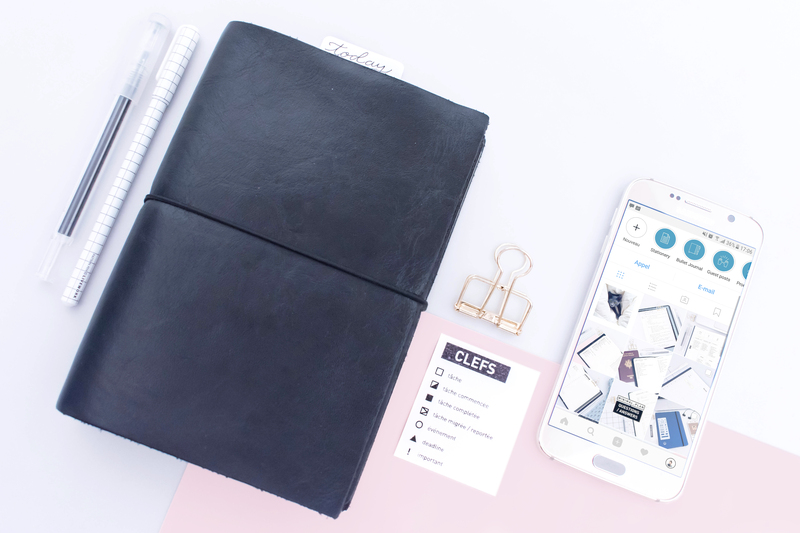 If you want to know a bit more about this mini sidekick, check my “Mid year organization system review” post out! Do you have any suggestions about how I can make sure that I don’t forget about the tasks in my monthly task list? 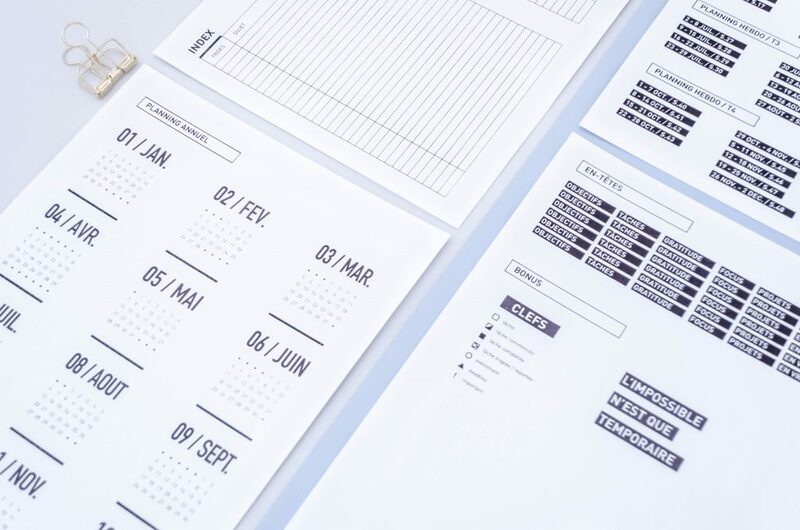 Find a planning routine that fits your habits and that helps you review them regularly! Using the monthly log has been, and still is, a real struggle for me. I find it easier to plan on a weekly basis. And I’m seriously considering to drop the monthly log these days (even though this would mean that my journal isn’t a bullet journal anymore). Maybe the answer is that you don’t need a monthly task list, but to have a huge weekly one that you’ll migrate from one week to another. Or that you need to keep a digital monthly list. Or to have your monthly task list on a sticky note that you can move around to have it on your current page at all times… There isn’t one right answer, but a ton of things to try and refine to find the system that will work for you! 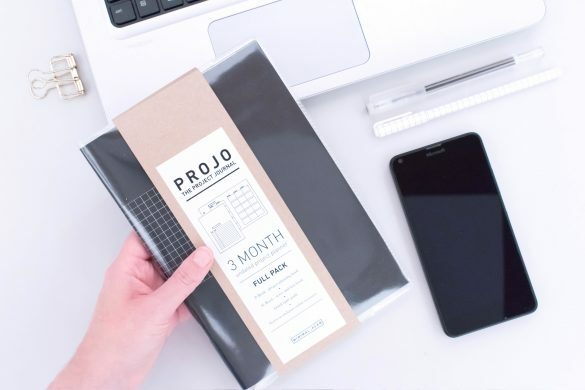 Are there options out there that are in a lower price range than the usual notebooks used to bullet journal? 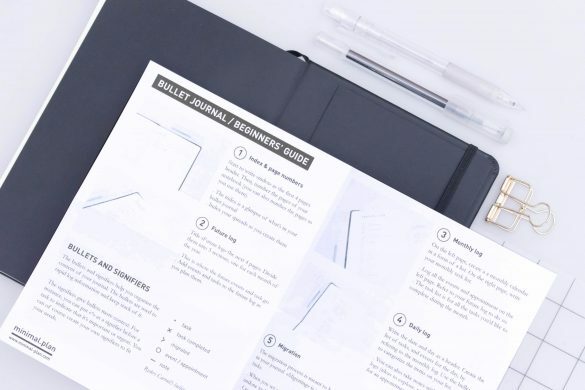 You don’t need to spend a lot of money to start a bullet journal. 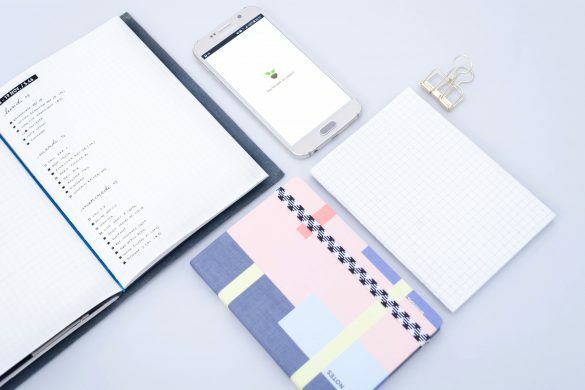 You can actually start a bullet journal in ANY notebook. 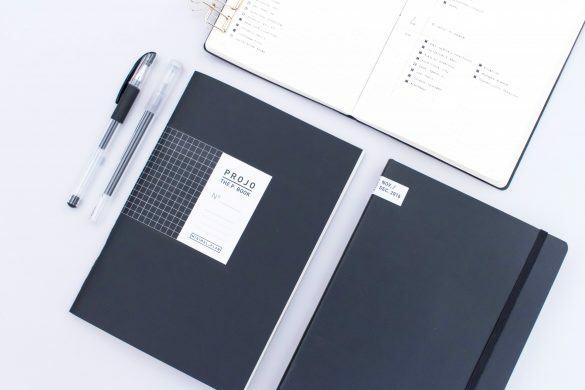 Of course, Leuchtturm, Rhodia or Scribble that Matters are some of the most popular options, but you can also decide to go for a cheap composition notebook. 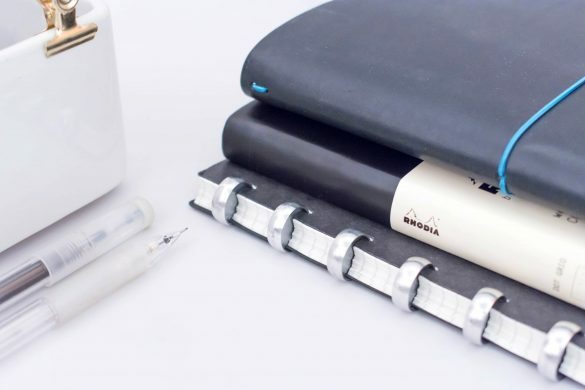 Most of the dotted notebooks are quite fancy (and expensive), but you can also start a bullet journal is a squared or lined one. 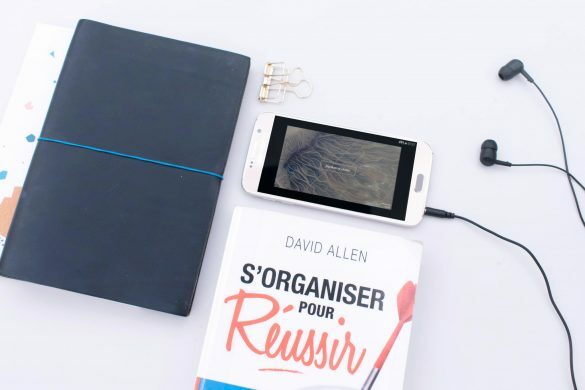 The only thing that is important is to pick a notebook you like and you’ll be willing to use on a daily basis. There’s no need to spend a ton of money on supplies to start. And that’s part of why I love the bullet journal system so much: a super simple, cheap notebook and a random pen can be turned into a game changer organization system. I’m working on a special post on this matter so stay tuned for more content very soon! I hope I didn’t forget anything! If you have any further questions, you can definitely drop them in the comments. I’ll be happy to answer them as soon as I return from my trip in Ecuador!